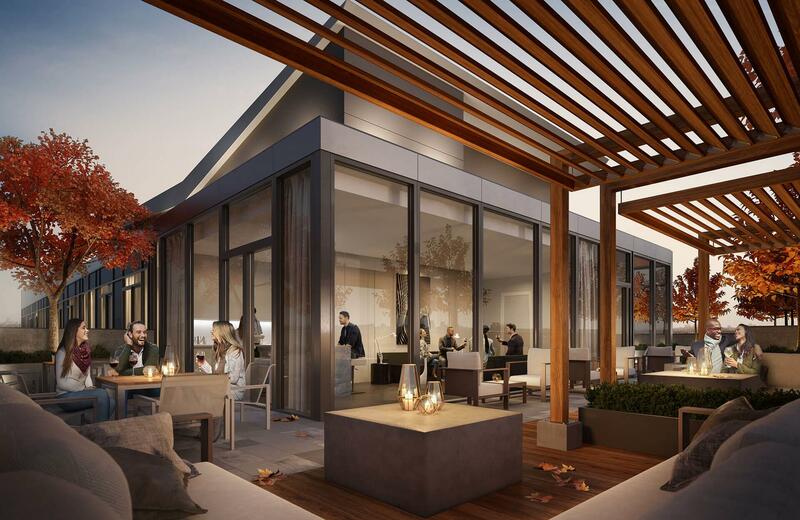 The amenities at Avro are ideal for socializing, exercising, relaxing, dining, and entertaining. On the ground floor, there is a multi-purpose/party room, a fitness centre, and an outdoor patio with barbecues and a spot to dine al fresco. Dog lovers will appreciate the dog spa and the outdoor dog run! Up on the 14th floor, there’s a rooftop terrace with cabanas, sun loungers, and there’s access to an indoor lounge. Whether you’re catching some rays, curling up with a good book, or hosting a little get-together with friends and neighbours, the rooftop is the place to be at Avro. The interiors were conceived by the great team at Tomas Pearce Interior Design Consulting. 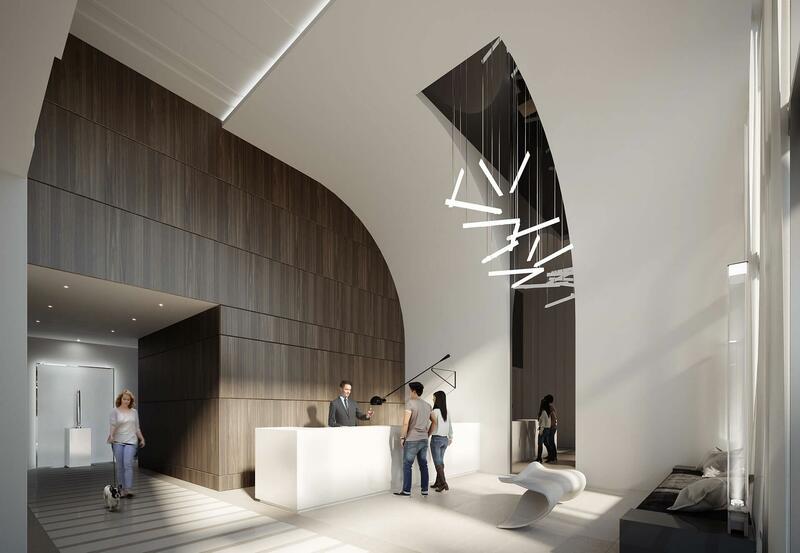 A few of the suite features and finishes include wide plank wood laminate flooring, porcelain tile, 9’ ceilings, contemporary kitchen appliances, and quartz countertops. Based on the rendering, many units also have spacious balconies. Located at 10 De Boers Dr., just north of Allen Rd. 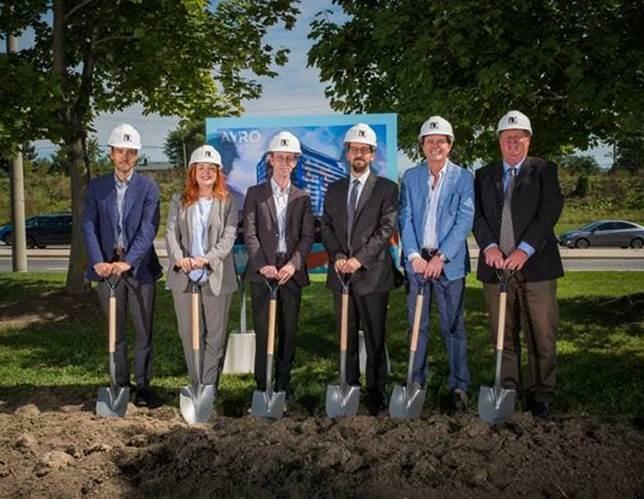 and Sheppard, Avro Condos is surrounded by everything you need, including Downsview station, Shoppers Drug Mart, an LCBO, a Metro, Costco, Best Buy, Home Depot, and a few parks. With 25 years experience as a full-service real estate investment and management company, Davpart has established an impressive portfolio of owned and managed assets, including high-rise office towers, major shopping malls, residential developments, and much more. The latest addition of Avro Condos makes their portfolio that much better. Construction just got underway, so now is the time to visit the presentation centre to learn more about the available units. 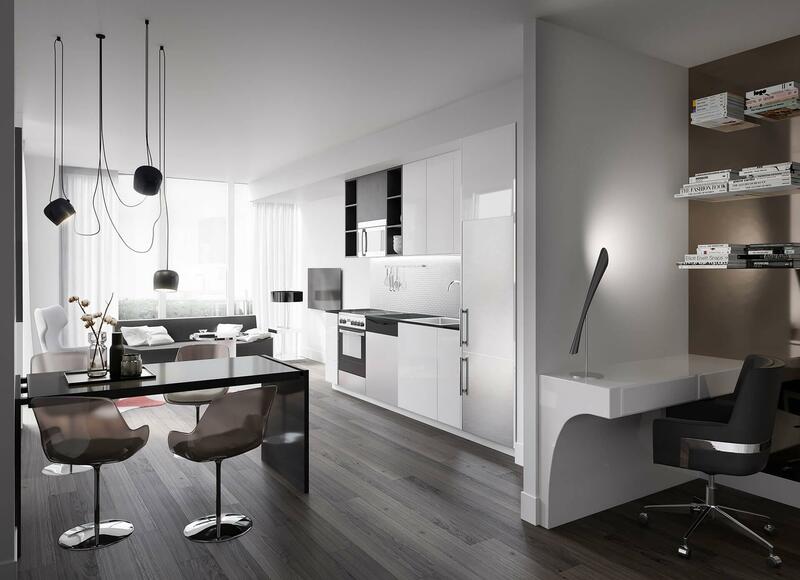 The Avro Condos presentation centre is located at 20 De Boers Dr., Unit #104-106. You can also call 416-398-2876 for more info.